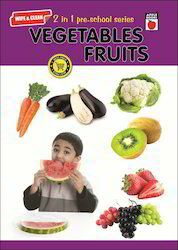 Our product range includes a wide range of Child Safety Books such as Wild & Domestic Animals, 2 in 1 Alphabets & Numbers, Colours & Shapes, Baby Animals & Birds, Vegetables & Fruits, Rhymes & Opposites and many more items. Being the most respected organization guided by vendor’s experienced and knowledgeable professionals, we provide an enormous assortment of My Body & My Toys Books. The offered books are made up at vendor’s end using top quality paper & best ink is used for printing purpose. 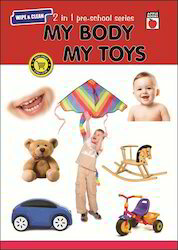 Along with that, these books help students to learn and name their various body parts. Further, this interestingly designed and illustrated book is suitable for school-aged children, toddlers and preschooler and works as a fun anatomy book to begin the initial learning stages. Due to our honest business standards and transparent deals, we are steadily making our way to the platform of success by offering Wild & Domestic Animals Books. 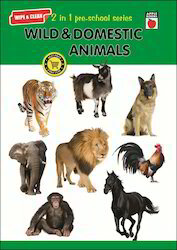 This book assist students in differentiating between wild and domestic animals and can be used in combination with theme activities by kindergarten teachers to help children learn the facts in a fun filled and interesting way. 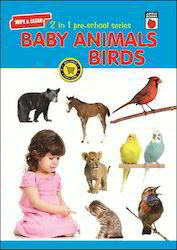 Offered books helps children learn something new about types of domestic and wild animals with aid of beautiful color presentation that makes preschoolers enjoy the learning. 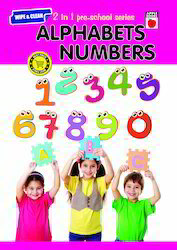 Being a highly effective, lean and fast-moving organization, we are highly instrumental in providing 2 in 1 Alphabets & Numbers Book. Featuring use of colorful & attractive pictures, it is aimed at helping children match diverse alphabets and numbers and is suitable for students of preschool and early elementary stage. 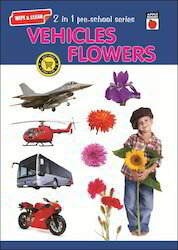 These books are accessible in various sizes, printing & customized options according to the requirements of clients. Further, the activity based presentation is both fun and instructional and assists in establishing a basic understanding in young minds. 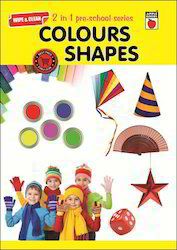 Owing to perfection and quality oriented approach, we have carved niche in the industry by offering Colors & Shapes Books. Based on carefully designed developmental approach for teaching and learning, it helps students in learning the basics through hands-on activities, observations, active engagement, and social classroom interaction with others. Our offered books are designed for Kindergarten students to engage their attention in different activities focusing on colors and shapes. 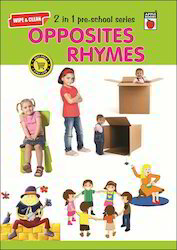 Looking for 2 in 1 preschool series ?